Today, the wait is finally over, as Rolling Stone, The Star Tribune, and other outlets report that For Sale: Live At Maxwell’s 1986 will be available on October 6. It was recorded in February that year at the Hoboken, New Jersey club. 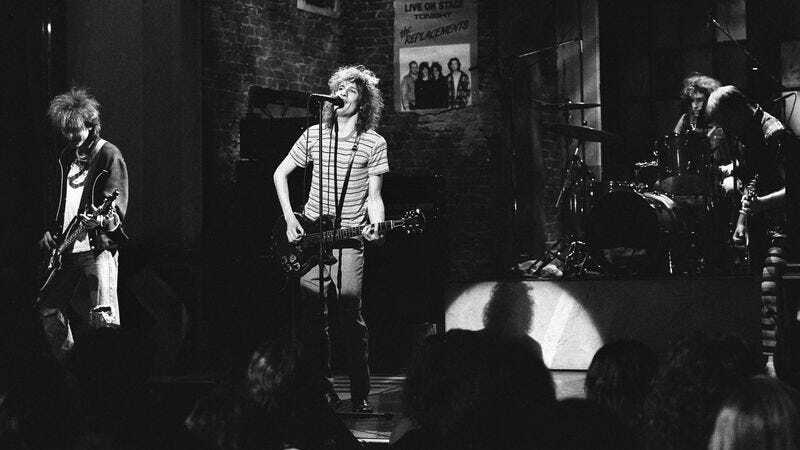 The 29-track release will feature one of the Replacements’ last shows with the band’s classic lineup: guitarist/vocalist Paul Westerberg, bassist Tommy Stinson, drummer Chris Mars, and guitarist Bob Stinson, before he was kicked out of the band later that year. He died in 1995. Replacements biographer Bob Mehr, author of last year’s acclaimed Trouble Boys: The True Story Of The Replacements, helped produce the release and worked on the liner notes. He reports: “It’s head and shoulders above all the other recordings in terms of fidelity… There are 29 songs on it, and they actually finish them all.” Below is the track list, which includes an early attempt at “Can’t Hardly Wait,” many songs from classic albums Tim and Let It Be, and the usual offering of ’Mats covers like The Beatles’ “Nowhere Man” and T. Rex’s “Baby Strange.” Pre-orders of the Rhino release—on vinyl and CD—are available at Amazon. Insert inevitable “can’t hardly wait” joke here.